It is possible to arrange SHM system measuring lines using sensors with various protocols and data transfer to ZETLAB “cloud” via Internet or VPN by means of industrial PC. The PC which is used for data acquisition and processing is to be installed at the controlled facility inside of electrical cabinet. For the purpose of constant data transfer from the sensors to the server there is used an Internet or VPN data transfer channel. This method allows to locate monitoring systems at facilities with adverse electrical safety or environmental conditions. Industrial PC power consumption is below 70 VA (and about 30 VA in normal operation mode). The PC has an integrated Watch Dog Timer, which restarts it in the case of any hang-up. 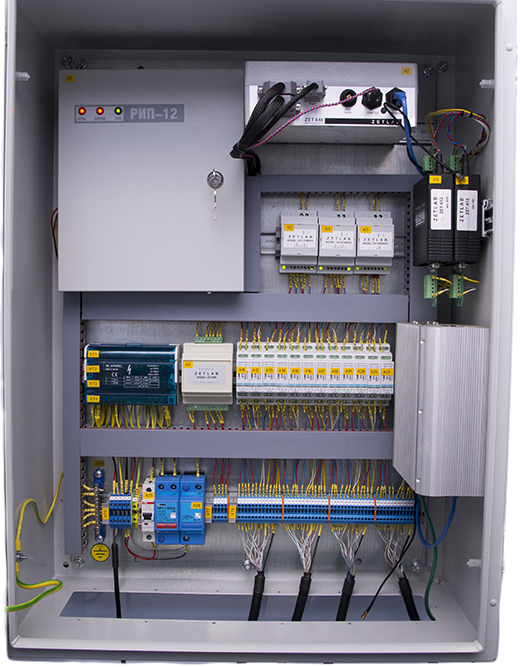 Besides, Serial- / Media-converter and / or SMS-notification module is mounted inside of electrical cabinet. Sometimes a back-up power supply module is placed inside of the electrical cabinet. Industrial PC-s do not have any rotating parts (fans, HDD) – this considerably increases operational reliability of such systems. Among the advantages of similar measuring network structures one should mention compatibility with various sensors. The sensors can be operated both within the scope of ZETLAB software (the measured values are transmitted to the server) and separately (the server receives “raw” data that require further processing). 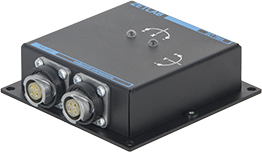 List of the sensors supported by ZETLAB Software is available on our web-site. ZET 7010-DS is a digital strain gauge, which is the key element for engineering structures stress-strain state monitoring. It is used to provide control of bearing structures deformation and bending. Maximum measuring range of the strain gauge is -1800…+1800 µm/m (it depends on a particular mounting technique used). At the minimal measuring range the minimal registered value is 0,2 µm/m. Data transfer is performed by Modbus RTU protocol with exchange speed up to 115200 bit/s and 1 Hz data refresh rate. ZET 7054 digital tilt meters are the key elements for tilt and points relative displacement control of structural elements. Minimal measuring range: -15°…+15°, minimal registered value: 0,01°. Data transfer is performed via Modbus RTU protocol at data exchange speed up to 115200 bit/s and 1 Hz data refresh rate. 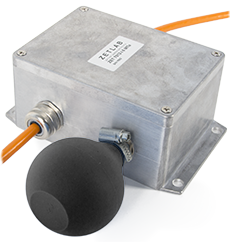 ZET 7052-N digital vibration sensors are used within the scope of oscillations natural frequency and logarithmic decrement control subsystem. They are used for structural elements vibration acceleration control. Minimal measurements range: -15°…+15°, minimal registered value: 0,01°. Data transfer is performed via Modbus RTU protocol at exhange speed up to 115200 bit/s and 1 Hz data refresh speed. 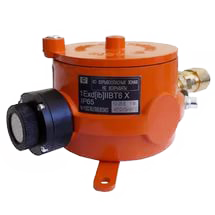 The soil pressure sensors are used for foundation settlement control and provide monitoring and timely detection of foundation settlement process that may lead to negative consequences. Upper measurements limit: 6 mPa, sensitivity threshold: 100 Pa. 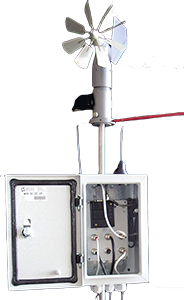 The Compact meteorological system is used for measuring meteorological and hydrostatical parameters. The gas analyzer is used within the scope of monitoring system for constant automated control of explosion-hazard gases or CO2 concentraion. The instrument calibration is performed by means of methane, propane or hexane. The gas analyzer is mounted in explosion-hazard areas and in close vicinity to a process unit (where formation of explosion-hazard mixture of gas and air is possible). Measurements range: 0–100 % from the LFL (lower flammability level).